Although they’re not always as popular as the football team or cheerleaders, the basketball team still puts on a great show and deserves just as much help as any other team. Basketball fundraisers are ways to raise the funds to keep the team on its successful streak. The funds pay for uniforms, balls, and travel to visitor games. Because basketball games are generally well-attended (because they’re inside in a nice warm gym! ), you can be sure to get a lot of people at your fundraising event. You’ll already have your supporters – the trick is to draw in random fans who may not always attend the games. To do this, you’ve got to have some pretty fun fundraising ideas – luckily, it’s not hard to get people excited about sports. You should start by having a team meeting and deciding what you want to do. If you ask the players, chances are they’ll have some good ideas about what they want to do. You don’t necessarily have to sell product, although this is a great way to make some money. Host a free throw contest. Professional basketball teams do this a lot – they sell numbered tickets to the audience and then the winner comes down to the court and tries their hand at a free throw. If they get it in the basket, they win a prize. Prizes don’t have to be very expensive; in fact, if each player on the team contributes $5 or $10 to the project, you can get a gift certificate or electronic item to give as a prize. Sell the tickets for $1 or $2 each to make a profit. Set up a booth with basketball-themed baked goods or key chains that the players make themselves. These are relatively easy to do, especially if you involve the parents or the supporters of the basketball team. You can buy beads in bulk and have the players make unique key fobs for their supporters. Sell them for $1 or so at halftime and see how many people attending the game will be interested. Try a lollipop fundraiser with basketball-shaped lollipops. You can choose to use a company for this, or check with a confectionery store in your town. If you use a company, this link explains a little more about the process of selling the candy. You can also choose to sell product. Often, parents and supporters of your basketball team will enjoy having a piece of memorabilia to cheer with at games or to have to support their child/friend. Calendars – often, people will buy a calendar with pictures of the players and their stats or great sports pictures from the game season. These are popular with just about everyone – everyone needs some kind of a calendar, and you make them cheaply with a lamination machine. Sweaters, hats or other clothing – there are companies that will produce these for you for a price. The profit is normally around 50%. Mini basketballs, pennants, giant fingers, etc – these will go over well with the fans who come to see the game. As well, basketball players who don’t play every game can wear their uniform and sell the items before and after the game. The attraction of getting to “meet the players” may draw more people – and sell more items. Diners’ or consumer discount cards – this fundraiser is popular with anyone who likes to dine out or likes to get discounts on their regular goods and services. You can use a company for this one or contact local businesses yourself. The profit range is pretty good and people are often willing to buy them over candy or food items because they last longer. Candy or chocolate – this is always a favorite. Find out how to run this fundraiser here and how to get your sellers motivated. Sometimes, hosting fun things that you can do through the school can be fun, too. You could talk to the principal and see if you could sell concessions at the game or divert some of the money from a school dance to the team. Also, you can have the team do traditional fundraisers like carwashes or garage sales. These can often bring in a lot of money and get everyone involved. A good resource for basketball links and fundraising links is the Basketball Coaches Association of Michigan. The site has an excellent links page that can help you get in contact with other coaches and teams. 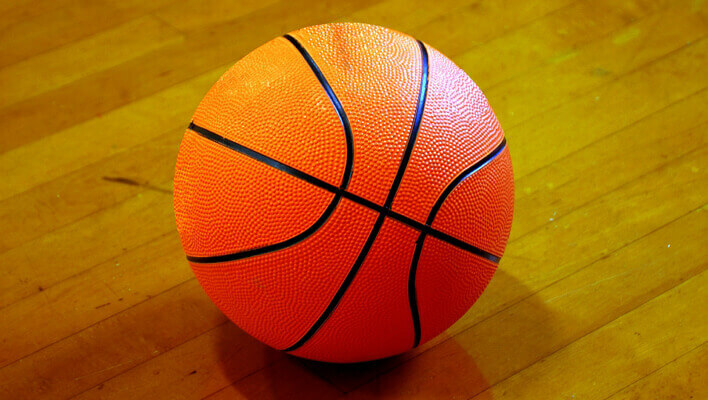 Get on the ball and keep the team on the court with these great fundraisers. You can boost spirit, too!